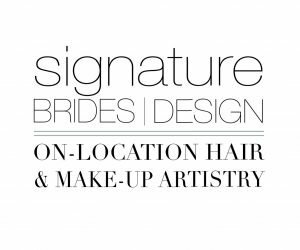 Signature Brides and Design is an on- location hair and makeup studio. They travel to you to take the stress away from your special day! Signature Brides and Design take great pride in their work. We take great pride in our relationship with them. Sami’s level of customer service is second to none when it comes to brides. Each bride has their own style and taste which can be very unique and inviting. Style is everything and must portray the type of person that is having their makeup and hair. This is just as important as any other wedding or event aspect. Having 5 dedicated team members to match your needs is exactly what you should be considering when looking for a hair and makeup artist. Will they know what to do? Are there others who can help my style come to life? Yes! And SBD can do it for you! Everything will be top notch when dealing with Signature Brides and Design because they know what they are doing and will make you feel like the royalty you deserve to feel on your special day. Feeling like a million dollars after being graced by the talented hair and makeup artists this company has, will show! Because of this, we highly recommend their services for your amazing event! Once you are finished booking your Utah hair and makeup artists, check out our wedding dj in Utah. Not only will you look good for the ceremony, but you will also look amazing while you dance the night away. Don’t let the party pass you by without booking a DJ who is going to make your event go from mediocre to unforgettable. Opus Productions knows what’s up when it needs an extra touch. We want to take care of you and will do everything possible to make that happen!